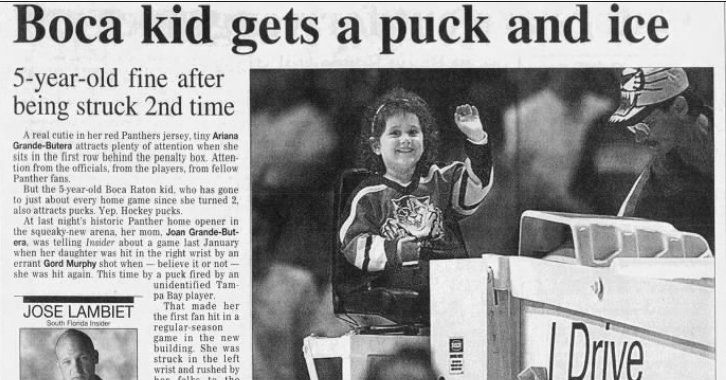 We learned about two more skills Ariana Grande can add to her resume after a news story from 1998 emerged in which a 5-year-old Grande rode the Zamboni at a Florida Panthers game. Grande saw the re-emergence of the news story and it was great. This is all great. Now we just need Grande to release an album of hockey tunes in honor of this moment.